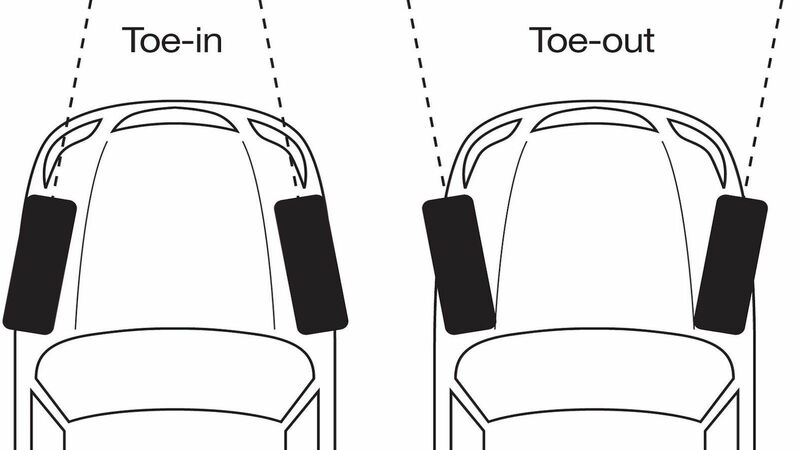 Daily Slideshow: Let's look at how caster, camber, and toe affect your vehicle before you hit your next track day. Looking from the front of your car if you were to tilt the top of the wheels in towards each other you would be creating negative camber. Many enthusiasts know the benefits of using this to flatten the tire’s contact patching during hard cornering in order to get more grip. By holding a higher average your lap times will certainly drop, but what about creating handling balances with these adjustments? Assuming something in the vicinity of 2-3 degrees of negative camber for most enthusiasts the rear of a car becomes very important with regards to extracting the most out of your tires. A split of negative camber can—in some cases—induce more understeer or oversteer depending on the rest of your vehicle setup. PRO TIP: Your individual setup will vary greatly depending on personality ability, tires, spring setup, and many other things. Think of negative camber as a direct relationship of grip and balance. Stand up and look down at your feet. If you were to imagine looking at your car's tires in this way from a bird's eye view, then pointing your toes in would be toe in, and pointing them out would be…toe out. Small changes to toe out have huge effects on handling. If you make toe alignments yourself be sure to double and triple check them. Any miscalculation by even a fraction of an inch can cause major problems like snap oversteer or terminal understeer. Since this article is a generalization of alignment, you can think of toe out as being unstable. In the front, this translates to a car that wants to dart and grab as speeds increase (both tires are trying to take the car in opposite directions) and at the rear, it translates to big oversteer and an uncontrollable back end coming off of the corners. PRO TIP: If you drive your car on the street be very careful about toe settings. What works on the track here really does not work on the street when it comes to tire wear and vehicle behavior. “Because race car” can get you into some serious trouble here and rob your wallet dry as you pay for tires that wear out thousands of miles before their time. 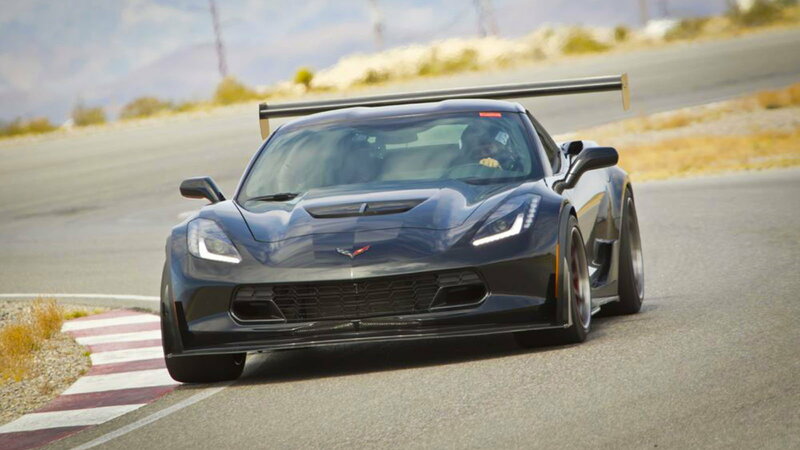 >>Join the conversation about part 1 of suspension geometry right here in CorvetteForum.com. 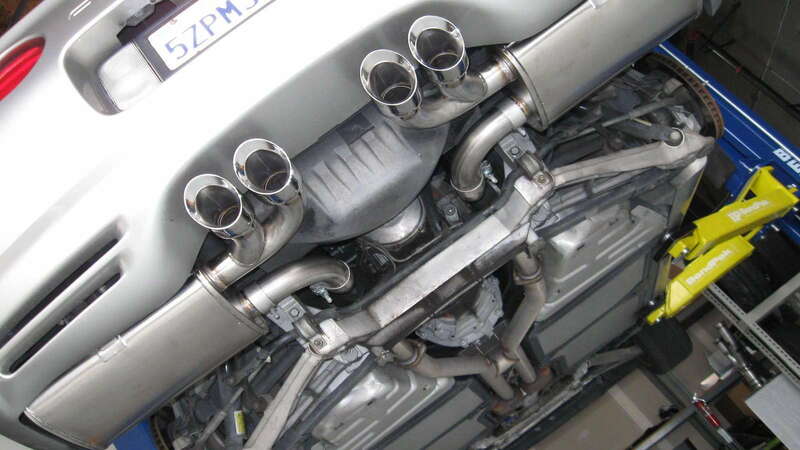 Sports cars and positive caster go together like turbochargers and boost. Viewed from the side positive caster is best imagined by taking the top of the suspension and tilting it towards the rear of the vehicle while the rear stays fixed. This rear lean of your suspension creates inherent stability as the steering wheel will want to naturally correct itself and return back to center. Caster is why your car will counter steer by itself if you go into an oversteer situation and tends to be responsible for giving feedback to the driver in tandem with tire compound. 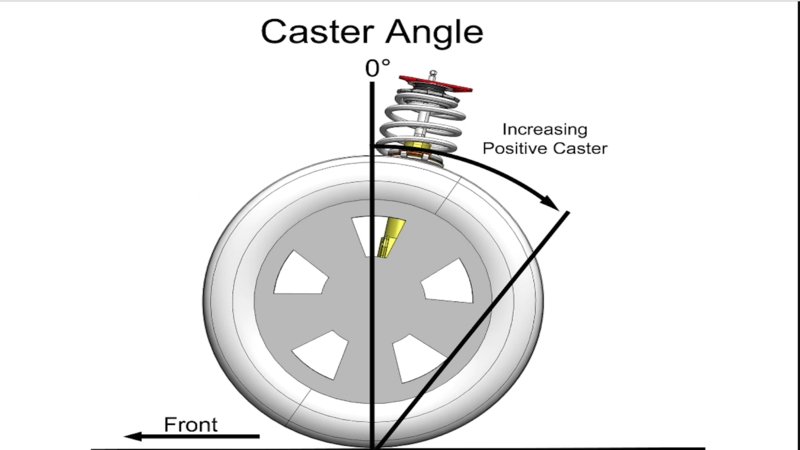 PRO TIP: Caster adds steering effort. You can add enough to make a car very difficult to drive so keep this in mind if you participate in any kind of endurance racing, it can wear you out quickly. Viewing your car from the front again we take the center line of the tire and draw a line through it. Next, we draw a straight line through the suspension’s ball joints. If the two lines intersect at the ground this is zero scrub radius (photo center). If they intersect above the ground you have a negative scrub radius (photo right) and if they intersect below it you have positive scrub radius (photo left). Large amounts of positive SR will cause your car to pull towards whatever side has a greater amount of grip which is never ideal in any situation. You might begin to imagine that these settings have large implications on how early you can get on the throttle at the race track and you would be absolutely right. PRO TIP: Wheel offset can severely screw up your scrub radius so be very careful what you put on your vehicle. Stance wheels and other aftermarket fads are often detrimental to performance and should be avoided if you want to cut serious lap times. 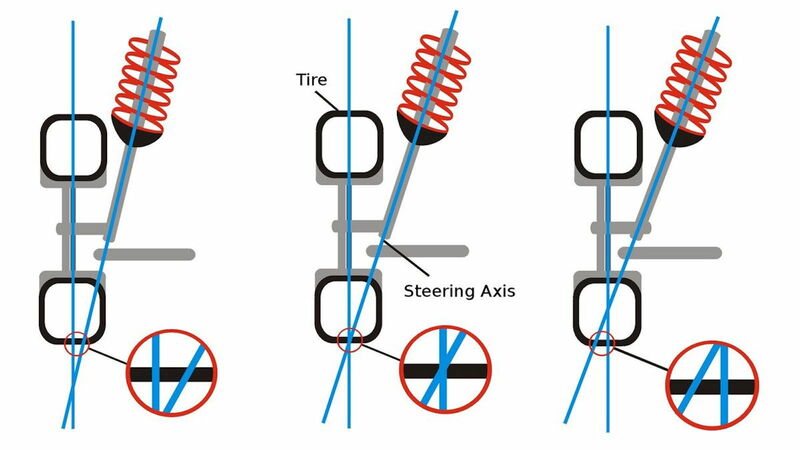 PRO TIP: Many of these systems work together to change the way a tire’s contact patch goes through a particular set of corner or handles various loading and unloading of the springs and shocks. OEM rubber bushings deflect which mean you lose some ability to control what is happening. This is why polyurethane and other aftermarket mods were designed.